* INDIA (RLPB308), where hindutva ideologues spread hindutva (Hindu nationalist) propaganda -- which vilifies Christians as treacherous and a threat to social cohesion and national security -- to incite and fan the flames of religious hatred. The result is religious apartheid justified by an ideology of Hindu supremacy. Pray for India's vulnerable Christians. * SUDAN (RLPB 309), where Pastors Michael Yat (49) and Peter Yen Reith (36) are on trial, charged with serious crimes against the state. The charges, which are totally without foundation, amount to nothing but racial-religious persecution from a regime determined to drive South Sudanese Christians from the country. The prosecution will continue making its case on Sunday 31 May. Pray for justice, and for the Church in Sudan. * BURMA / Myanmar (RLPB 310), where the Christian Kachin of northern Burma continue to suffer extreme racial and religious hatred-inspired violence at the hands of the Burmese military. World Watch Monitor has released a 10:55 minute video report on the regime's war against the ethnic nations, by highly esteemed veteran Christian journalist Vishal Arora. Highly recommended. On 25 April seven Christians were arrested in Assela, 100 miles south of the capital, Addis Ababa, and charged with holding an illegal meeting. However, the church is registered, having fulfilled all the legal requirements. Assela is in the restive Oromia region, which is 47.5 percent Muslim and 48 percent Christian (30.5 percent Orthodox, 17.7 percent Protestant), with most Christians living in urban areas and most Muslims living in rural areas. The global trend in Islam towards Wahhabi (Saudi Arabian) Islamic fundamentalism has seen Ethiopia's Muslims grow increasingly assertive over recent decades, posing problems for the government. The Meseret-Kiristos Church gathered in Assela on 25 April to baptise 40 new believers. Of the seven Christians arrested, three were church leaders and four were newly baptised Muslim Background Believers (converts). Ethiopia has religious freedom, so when the authorities want to intimidate a church, they need to find another pretext -- hence the false charge of an illegal gathering. World Watch Monitor reports that the believers were incarcerated in appalling, over-crowded, unsanitary conditions until 11 May, when church leaders got together and paid for the men to be released on bail. Soon after being released, one of the believers named Aman Kuni was seized by gunmen who ordered him to kill pastors Girma Hippo and Endezina. The gunmen promised Kuni that if he did as instructed, they would reward him with a new life overseas, but if he had not obeyed within three months they would kill his three children. Pray for Ethiopia and for her Church. 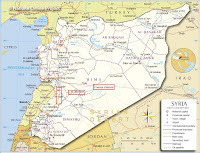 NINEVEH, Iraq: When Islamic State (IS/ISIS) fighters swarmed east across the Nineveh Plains, northern Iraq, in August 2014, Assyrian Christians fled for their lives with only the most elderly, disabled, frail and infirm remaining. Reportedly IS recently executed an elderly Assyrian woman in Karamlis, an Assyrian village 30km east of Mosul and just 5km north-east of Qaraqosh (Bakhdede). The 80-year-old was reportedly burned alive for failing to comply with Sharia Law: for breaching the Dhimma agreement and therefore forfeiting her right to 'protection' from slaughter. 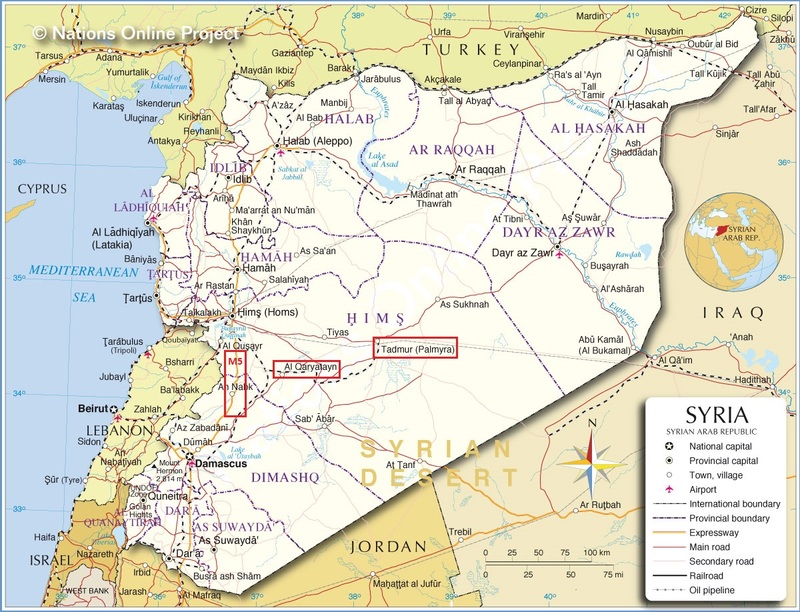 HASSAKEH, Syria: Assyrian and Kurdish fighters backed by the Syrian Arab Army have made gains in Hassakeh Province, north-eastern Syria, thanks in part to US-led coalition airstrikes. According to Father Emanuel Youkhana, who heads the Christian Aid Program Northern Iraq (CAPNI), 'All the villages along the Khabur River have been liberated.' He told veteran Middle East journalist Dale Gavlak that while priests have returned to ring the church bells the villages are still not safe for residents as mines still have to be cleared. On 25 May IS released two frail elderly women from amongst the Assyrians they abducted from along the Khabur river on 23 February but 229 remain in IS captivity. Muslim Fulani continue to make territorial gains across Nigeria's ethnic-religious fault-line, often with the support of Islamic militants. The situation for Christians in religious 'fault-line' Local Government Areas (LGAs) is perpetually perilous. Morning Star News (MSN) reports that a series of Fulani night raids in Riyom and Barkin Ladi LGAs in Plateau State in early May saw more than 60 Christians killed and hundreds displaced. Furthermore, Boko Haram rebels are retaliating against government advances in Borno State by attacking mostly Christian communities further south. On Friday 22 May, Boko Haram jihadists slaughtered 10 Christians with machetes in a pre-dawn raid in Pambula-Kwamda, a Christian community in Adamawa State's Madagali LGA. MSN reports that it was the third attack against Christian communities in Adamawa in six days and brought the death toll to 29. It is no exaggeration that in parts of northern Nigeria the Church has been decimated. Pray for the Church in Nigeria. On Sunday evening 24 May, Sayed Zeeshanul Haq (a Muslim) noticed that Humayun Masih (a Christian) was burning paper that appeared to have verses of the Qur'an on it. Haq complained to the police who registered a blasphemy report against Humayun Masih (27) under section 295-B of the Pakistan Penal Code. When the police went to arrest him, they found a crowd of Muslims had gathered, eager to burn Humayun to death. After Humayun was taken into police custody, Muslim clerics led the mob to Dhup Sarri, Sanda area in Lahore, the Christian district where Humayun Masih lives. Christians fled for their lives as the mob fired weapons into the air, vandalised the church and looted at least 15 Christian homes to cries of Allah Akbar (Allah is greater). Police tried to intervene but were pelted with rocks. Two companies of Punjab Rangers were sent to the area to restore peace. After the Deputy Inspector General Operations received a head wound, a baton charge was ordered and the riot put down using tear gas. Five police officers were wounded. Humayun Masih is a known drug addict who has spent three years in a psychiatric hospital. Whilst he probably has little idea about what is happening, the Christian community understands their future is in the balance. Pray for the Church in Pakistan. 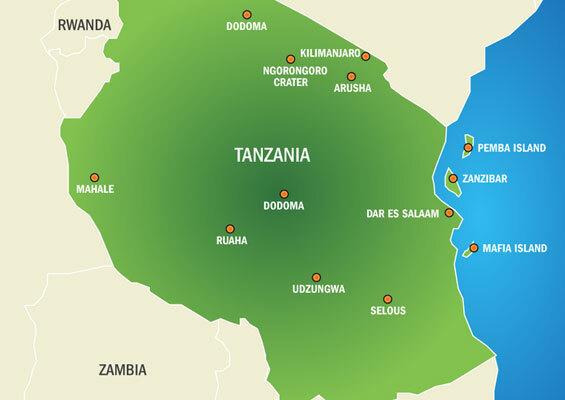 Tanzania's constitutional referendum scheduled for 30 April was postponed because of tensions over the issue of giving constitutional recognition to Kadhi (Islamic) courts. President Jakaya Kikwete (a Muslim) maintains that constitutional recognition of Islamic courts is nothing to worry about. However, church leaders insist it would undermine Tanzania's secular status, especially as the bill states that Kadhi court rulings would be enforced and could not be appealed or referred to the High Court. Unsurprisingly, most church leaders are advocating a 'No' vote, which has drawn the ire of the government. In late April the government threatened to investigate religious institutions and identify those 'meddling in politics' so as to close them down. In the first week of May Barnabas Fund was informed that three pastors on Mafia Island were summoned to present themselves at a district level registration office along with their personal identification papers and church registration details. Church leaders are concerned that if the government strategically diffuses the harassment by having it take place at the local level rather than from the top, it will make it more difficult to address. Tanzanians go to the polls on 25 October to elect a new president and parliament. A new date for the constitutional referendum will be announced after voter registration has been completed. Religious tensions are escalating. It would not be unreasonable to think of Burma as the Sudan of Asia. In Sudan, an Arab-supremacist Islamist regime rules from the centre, marginalising the state's peripheral ethnic nations and persecuting them on racial and religious grounds. In Burma, a Burman (or Bama)-supremacist Buddhist regime rules from the centre, marginalising the state's peripheral ethnic nations and persecuting them on racial and religious grounds. When the oppressed and persecuted resist and demand their rights, these regimes spare no effort to crush them with extreme violence fuelled by deep-seated racial and religious hatred. Western silence is dictated by Realpolitik -- politics based on 'interests' rather than on morals and ethics. It is simply not in the West's interests to advocate for the victims of genocide in Darfur or the Nuba Mountains. Likewise, it is not in the West's economic or geo-strategic interests to advocate for the victims of violent persecution and ethnic cleansing in Burma when it has just opened its resources and markets to the West. To ensure Burma does not drift back into China's sphere of influence the West turns a blind eye to the persecution. However, nothing is hidden from God for our God is 'el Roi' -- the God who sees (Genesis 16:13). The Kachin nation (pale green on the map) are a Christian people living in Burma's mountainous far north where the Irrawaddy River has its source. Not only does the regime covet Kachin State's jade, gold and timber, it also wants to dam the Irrawaddy. If it is ever completed, the Myitsone Dam Project will be managed by the state-owned Chinese Power Investment Corporation (CPI) and will be generating hydroelectric power for China. Whilst the dam will cause the Kachin to lose vast swathes of land and more than 60 villages, the Burmese regime stands to make a great deal of money from it. Therefore what the regime really wants is Kachin State without the Kachin. Humanitarian aid group, the Free Burma Rangers reports that on 19 January in Kawng Hka Village in Northern Shan State, two Kachin girls -- Maran Lu Ra (20) and Tangbau Hkawn Nan Tsin (21) -- were savagely raped and then clubbed to death by Burmese soldiers. The girls, missionaries sent out by the Kachin Baptist Convention (KBC), had been asleep in the KBC church compound when they were attacked. Church members reported the crime but no action was taken. On 21 March Burmese soldiers shot and killed civilians Dau Ma La (52) and his 103-year-old mother, Da Shi Hka, in Mansi Township and looted their property. 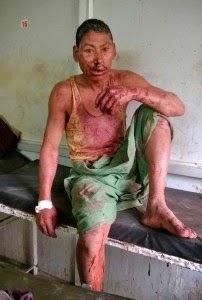 On 9 May Burmese soldiers shot Min Htet (40), a civilian farmer and father of two from the Mung Hkawng IDP Camp. Min, who had been outside the camp tending to his pigs, survived the shooting only to be knifed repeated in the eyes and face by soldiers who then beat him to death. Though Hpaure Htu (30) was also shot, she managed to escape. On 6 May the Kachin Army clashed with Burmese troops near Mansi Township. A 'little bit of fighting' continued into the next day. Then on 8 May, while President Thein Sein was meeting with ethnic leaders to negotiate a national ceasefire, two fighter jets were bombing the Kachin into submission. 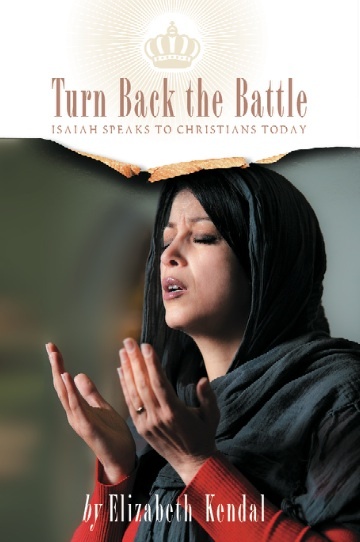 * intervene on behalf of the Christian Kachin, to protect and sustain them as a Christian people; may the Lord shield them, provide all their needs, refine and sanctify them, increasing their faith, that ultimately God will be glorified. * graciously pour out his Holy Spirit on the Burmese Church to sanctify her and fuel revival. * quicken the eyes, ears, hearts and minds of ethnic Burman Buddhists (including monks) so they will receive with joy the Gospel of peace, love, truth and salvation by grace. * infiltrate the Burmese military through gospel literature, Christian radio and the Jesus film. 'Truly I understand that God shows no partiality ... everyone who believes in [Jesus Christ] receives forgiveness of sins through his name.' (Peter in the house of Cornelius the centurion soldier -- Acts 10). 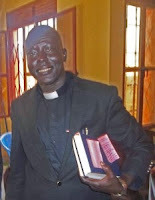 SUDAN UPDATE: Middle East Concern has confirmed that the trial in Khartoum of Pastors Michael Yat (49) and Peter Yen Reith (36) [see RLPB 309 (12 May 2015)] commenced on 19 May. The prosecutor did not finish making his case, and so will continue when the trial resumes on Sunday 31 May. '... be constant in prayer' (from Romans 12:12 ESV). Burma is ruled by a Burman-supremacist Buddhist regime that marginalises and persecutes all Burma's non-Burman and non-Buddhist peoples. Whilst the junta's long-running war against the Christian Kachin of Burma's far north is motivated by greed for the Kachins' resources, the Burmese military's extreme violence is motivated by deep-seated racial and religious hatred. In January two young Kachin women missionaries were raped and clubbed to death by Burmese soldiers in the Kachin Baptist Convention church compound in Northern Shan State where they lived. Civilians are routinely targeted -- over 100,000 have fled their homes. The West turns a blind eye to the persecution to protect its economic and geo-strategic interests and to ensure Burma does not drift back into China's sphere of influence. 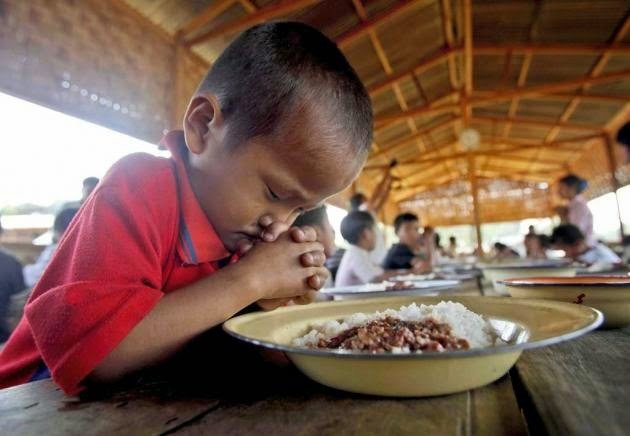 Please pray for the Church in Burma. Update: Middle East Concern (MEC) reports that while the court hearing took place on 13 May, the prosecutor could not produce his witnesses from Sudan's National Intelligence and Security Services (NISS). Consequently, the judge postponed the hearing until Tuesday 19 May. Prayer requests remain unchanged (see below). After predominantly Christian South Sudan seceded from the Republic of Sudan in July 2011, Sudan's Arab-Islamist regime in Khartoum declared its intention to Islamise Sudan fully. The Islamisation includes a campaign of systematic persecution, especially in the strategic major centres of Khartoum, Khartoum North (Bahri) and Omdurman. Foreign Christians have been expelled, numerous Southerners have been driven out and several churches have been seized and destroyed. In mid-November 2014 National Intelligence and Security Services (NISS) agents oversaw the partial demolition of the Khartoum Bhari Evangelical Church, a property belonging to the South Sudan Presbyterian Evangelical Church (SSPEC) [see RLPB 288 (26 Nov 2014)]. Then on Sunday 21 December 2014, Rev Yat Michael, an SSPEC pastor visiting from Juba, South Sudan, was arrested as he addressed the congregation at the partially demolished property. Then, on 11 January 2015, SSPEC pastor, Rev Peter Yein Reith, was arrested as he returned to his home at the Gerif West Bible School in Khartoum after a prayer meeting. It has been suggested that Pastor Reith was arrested because he had delivered a letter to the Office of Religious Affairs in Khartoum in which denominational leaders enquired about the arrest of Pastor Michael. Both pastors were taken to a secret location and held incommunicado without charges or access to their families or a lawyer, triggering grave concerns for their welfare. 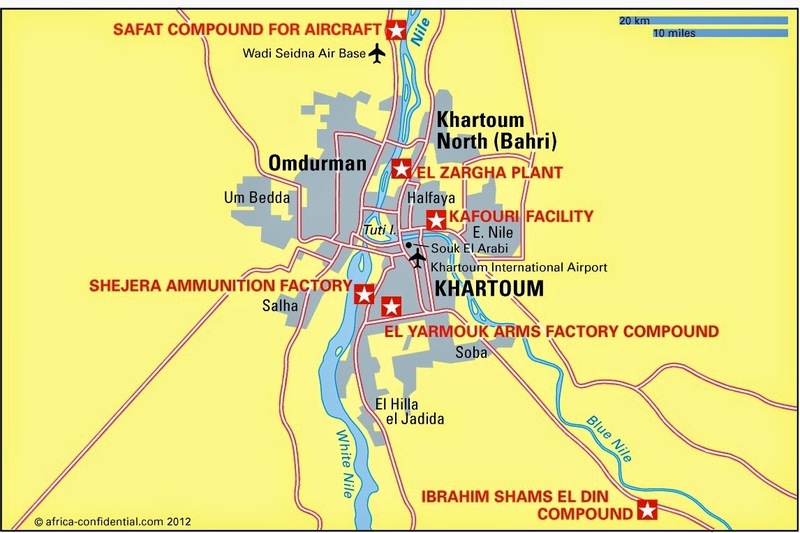 On 30 April the men were transferred from a police station in down-town Khartoum to a NISS detention centre in Khartoum, before being transferred to Omdurman Prison on Monday 4 May. Both pastors faced the Khartoum Bhari Criminal Court on 4 May where they were charged jointly with undermining the constitutional system (Article 50 of the Sudanese Penal Code); waging war against the state (Article 51); disclosure and receipt of official information or documents (Article 55); arousing feelings of discontent among regular forces (Article 62); breach of public peace (Article 69); and offences relating to insulting religious beliefs (Article 125). Of the five charges, Articles 50 and 51 carry the death penalty or life imprisonment if found guilty. Morning Star News (MSN) was able to speak briefly with Pastor Michael on 7 May. 'God will intervene and protect us even in prison despite the serious charges brought against us,' the pastor said. 'Thank you all for your prayers and concerns for us over this long period of imprisonment.' According to MSN, whilst NISS officials offered to drop the charges if the SSPEC paid $12,000, SSPEC will not open itself up to extortion. The pastors commenced a hunger strike on 28 April to protest their detention. Their families are understandably anxious. Pastor Michael's wife implored MSN, 'Let us continue to pray for them so that God can help them to be released.' The next hearing is scheduled for Thursday 14 May. In November 2014 Sudanese security agents oversaw the partial demolition of the Khartoum Bhari Evangelical Church, a property belonging to the South Sudan Presbyterian Evangelical Church (SSPEC). Then, on 21 December 2014, authorities arrested Rev Yat Michael, an SSPEC pastor visiting from Juba, South Sudan, as he addressed the congregation at its property. When SSPEC pastor Rev Peter Yein Reith delivered a letter to the authorities in Khartoum enquiring about the arrest of Pastor Michael, he too was arrested. In court on 4 May, both pastors were charged with serious national security offences, two of which carry the death penalty or life imprisonment if there is a guilty verdict. Persecution in Sudan has escalated markedly since the South seceded in July 2011. Please pray for the Church in Sudan. Hindutva (militant Hindu nationalism) propaganda calls for Hindu solidarity to ward off the threat posed by Christianity, which is slandered and vilified as an existential threat to Indian culture, social cohesion and national security. Hindutva activists target Adivasis ('first inhabitants': members of indigenous tribes) for conversion to Hinduism (pursuing religious conversion for political gain). It is to that end they also seek to eliminate Christian witness and conversion. With Hindutva protagonists now dominating power in India, it is little wonder that paranoia-inspired violence with impunity is on the increase. Unless there is change, this will only get worse. ASSAM, in India's far north-east, has a major problem with mass illegal immigration from Bangladesh, with an estimated 6,000 Bengali Muslims arriving in Assam every day. Eleven of Assam's 27 districts now have Muslim majorities and as Muslims impose their culture and compete for land, jobs and power, ethnic-religious tensions escalate, making Assam fertile ground for Hindutva activism. Virtually all Assam's Christians are Adivasis (first inhabitants). In December 2014, after a resident of Amtola village, Golpara District, was healed of cancer through Christian prayer, five families from the Rabha clan began attending worship services. Since then, the Amtola church -- particularly the new Christians -- have faced hostility, including regular attacks which the police have ignored. Morning Star News reports that on 17 April Christians were eating together that evening after meeting for prayer when a mob of some 100 Hindus armed with sticks, swords and stones burst in and started beating the believers. The attack was led by members of the extended Rabha clan targeting their families, incited by Hindutva elements to punish their family members. At least 15 believers (all from the Rabha families) received nasty upper body and head injuries. While most were treated in Golpara local district hospital, three -- including Pranita Rabha (7) -- had to be rushed to the state capital for treatment at the Guwahati Medical College. Pranita has serious chest injuries and blood clots on her brain. 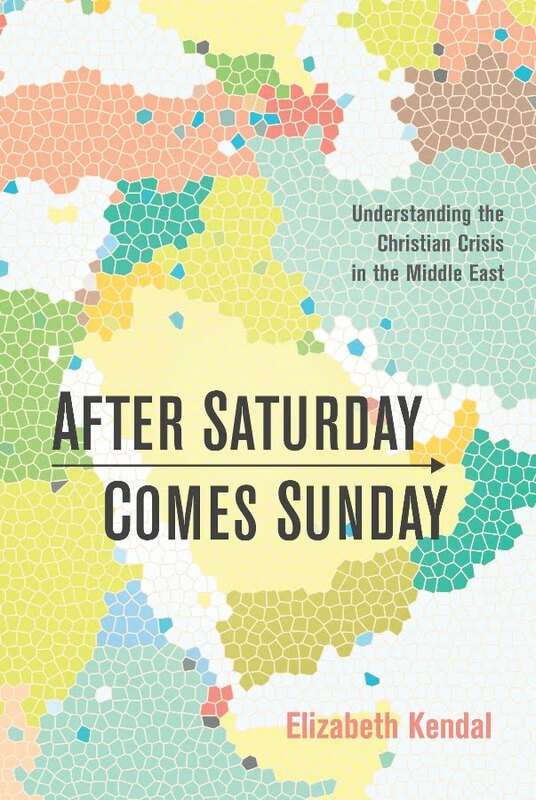 The Christians' homes were also attacked, with five totally destroyed. All Amtola's Christians have fled; the Rabha families have been placed in a safe-house; and the village has been deemed unsafe for Christians. JHARKHAND, in India's northern tribal belt, is known for its grinding poverty and its Naxalite (Maoist) insurgency. [Maoists in Nepal and India are not driven by ideological as much as by their ardent opposition to the systematic racism and gross inequity of the Hindu caste system.] In Jharkhand, nearly one-third of the population is Adivasi, making this a catchment area for Hindutva activists and a conflict zone for Naxalites. In recent months, Hindutva activists with the Akhil Bharatiya Vidyarthi Parishad (ABVP: All Indian Student Council) have been escalating their attacks on church-run schools in Jharkhand. The ABPV, which is the student wing of the RSS (a Hindu paramilitary), claims to be protesting the schools' high fees but church-run schools receive no government assistance. On 17 April a mob of some 60 ABVP activists scaled the perimeter wall and broke the gates of Holy Cross School in Hazaribagh city. 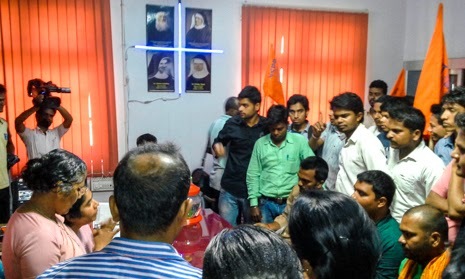 Waving ABVP flags and chanting Hindu slogans, they burst into the principal's office where they threw and smashed furniture and abused Sister Clerita De Mello for not displaying an image of Saraswati, the Hindu goddess of learning. The ABVP activists then proceeded down the road to St Xavier's School where they were met by police who arrested them when they refused to disperse. Whilst the BJP (Hindu nationalist) state government insists that religion played no part in the attack, Fr Gerald D'Souza, an education advocate, believes these increasingly routine attacks are designed to drive churches out of education. CHHATTISGARH, like Jharkhand, is also in the tribal belt, desperately poor and at the heart of the Naxalite insurgency. Voice of the Martyrs (VOM) Canada has just confirmed the martyrdom of Christian evangelist 'Brother Sadavir', in Dantewada which adjoins the volatile Bastar region in southern Chhattisgarh. Despite being attacked in 2010 and 2012, Brother Sadavir (who was married with three young children) refused to stop sharing his faith in Jesus Christ. Then, at 1am on 22 January, a mob of around 200 angry men came to his family home and took him away, telling his wife, Jani, that she could bring him food in the morning. When Jani went into the forest the next morning, along with Sadavir's mother and sisters, the mob tied Sadavir to a tree and beat his legs to a pulp with bamboo canes. Only then did they kill him by piercing his chest with a 'trishula' (a three pronged Hindu trident). Brother Sadavir was killed by a mix of Koya tribesmen and Naxalites. The Koya, who are protesting conversions, got the Naxalites on side by telling them that Brother Sadavir was paying people to convert (i.e. he was exploiting their poverty) and was betraying Naxals to the Hindu nationalist government. Both charges were false. Refusing to release the body to the family, the killers then burned Sadavir's remains so to destroy all evidence. * whether by choice (a shift in conscience) or by virtue of increased international pressure, there will be a commitment amongst local governments, business leaders and police in India to reject violence, uphold the law and promote civility and decency. * the Lord will refine and sanctify the Indian Church; may the Holy Spirit move powerfully in believers facing intensive pressure, so they will be assured in their hearts that Jesus will never leave or abandon them. Hindutva (militant Hindu nationalism) propaganda calls for Hindu solidarity to ward off the threat posed by Christianity, which is vilified as an existential threat to Indian culture, social cohesion and national security. Hindutva activists target tribal people for conversion into Hinduism, pursuing religious conversion for political gain. To that end they also seek to eliminate Christian witness and conversion. With Hindutva protagonists now dominating power, it is little wonder that paranoia-inspired violence with impunity is on the increase. If this does not change, it will only get worse. While persecution is on the increase nationwide, the most volatile regions are those with underlying ethnic-religious tensions, like Assam, and those with large tribal populations, such as Jharkhand and Chhattisgarh. Please pray for the Church in India.